Comprehensive and practical, BUSINESS: ITS LEGAL, ETHICAL, AND GLOBAL ENVIRONMENT, 10TH EDITION emphasizes real-world applications and encourages critical thinking skills. While exploring the intersection of law, business strategy, and ethics in the text, readers apply the concepts to more than 200 real-world situations and a wealth of learning features, while heightening their own sense of morality. 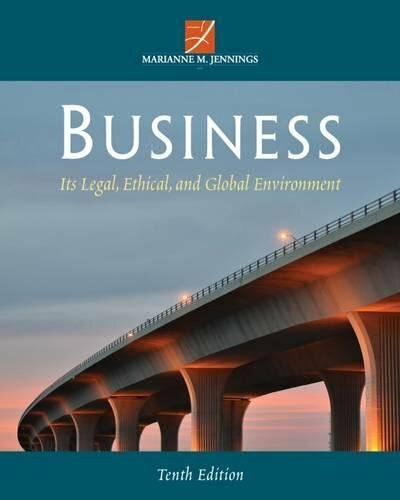 BUSINESS: ITS LEGAL, ETHICAL, AND GLOBAL ENVIRONMENT, 10TH EDITION effectively illustrates how law and ethics apply to issues in the workplace, and is an excellent resource for future business managers.